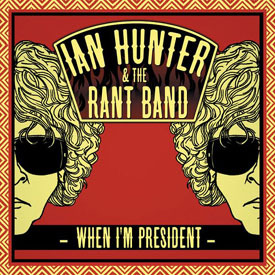 The perpetually touring Ian Hunter just released a new song/album called “When I’m President” that is sure to make some Washington playlists soon, but don’t miss his show too! THE GOLDEN AGE OF MUSIC VIDEO has a soft spot for the former Mott The Hoople singer since his “All Of The Good Ones Are Taken” is perpetually in our top ten favorite videos of all time. And check out all things Ian Hunter oriented at his website.